Ever since I became Vegan, I've had a list of holy grails I wanted to visit. Chicago Diner, Candle 79 and the Vegan Mini-Mall all got checked off a while ago. 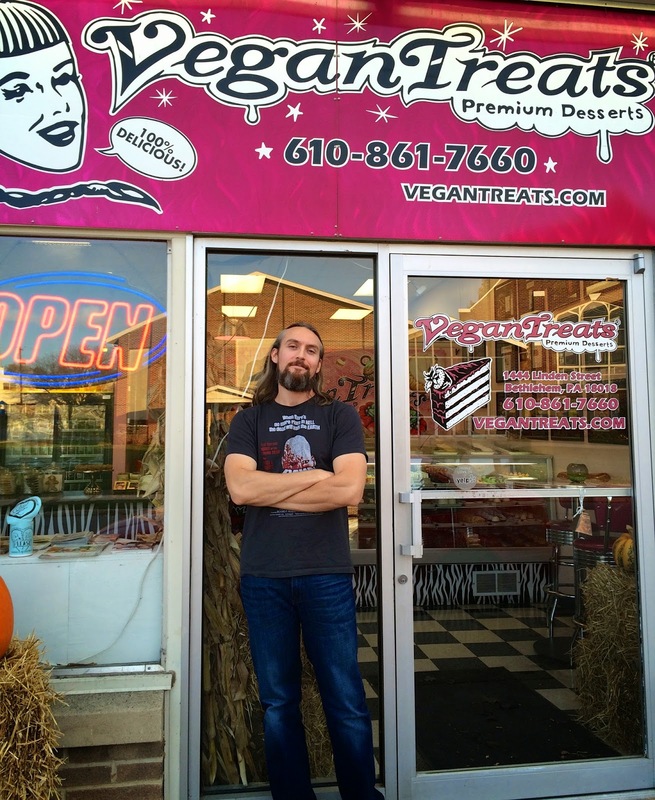 But the one place that has been eluding me is Vegan Treats in Bethlehem, Pennsylvania. I've always wanted to go to Philly to run up the Rocky Steps so I knew Vegan Treats would happen eventually. You'll even remember I got the owner, Danielle Konya, to take The Laziest Vegans Top Ten. But one thing you have to realize is that Bethlehem is 60 miles away from Philly and you are going to need a car. Or at the very least, have a good bus route. Luckily my buddy Louzilla picked me up at the airport and took me right to Vegan Treats. 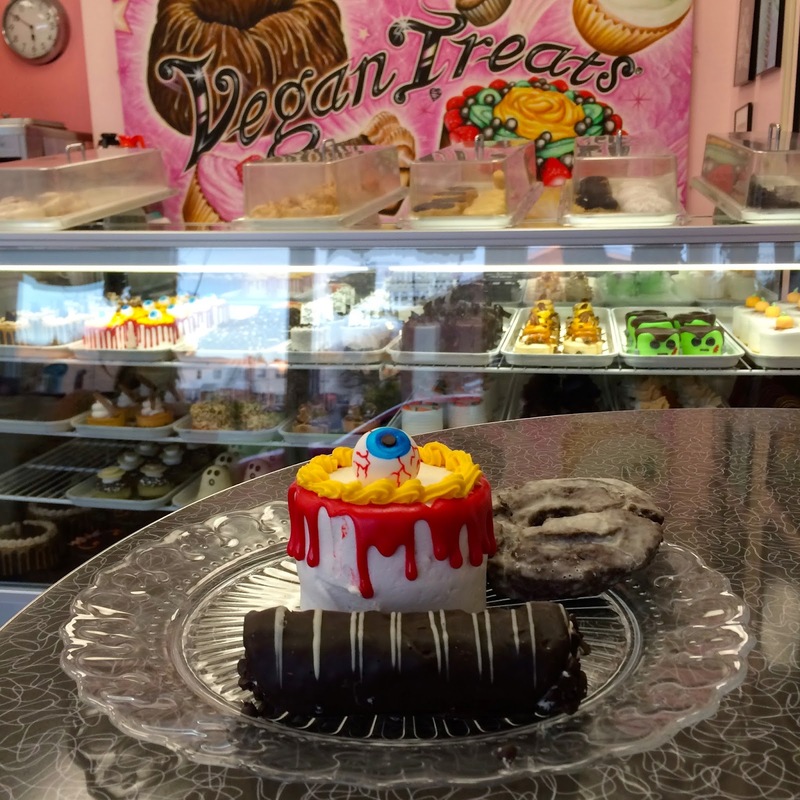 Vegan Treats isn't a huge place, but the selection is! Tons of mini-cakes, cookies, donuts, rolls, cannoli, ice cream, etc. It's super overwhelming! 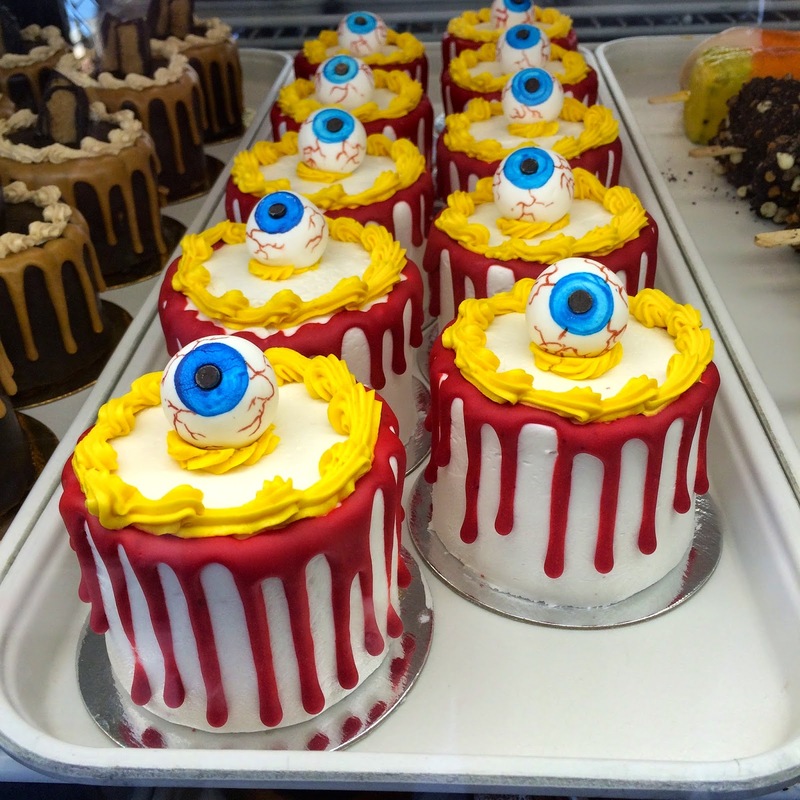 I'm sure the employees see wide-eyed stares day in, day out. When I went, Halloween was just around the corner. 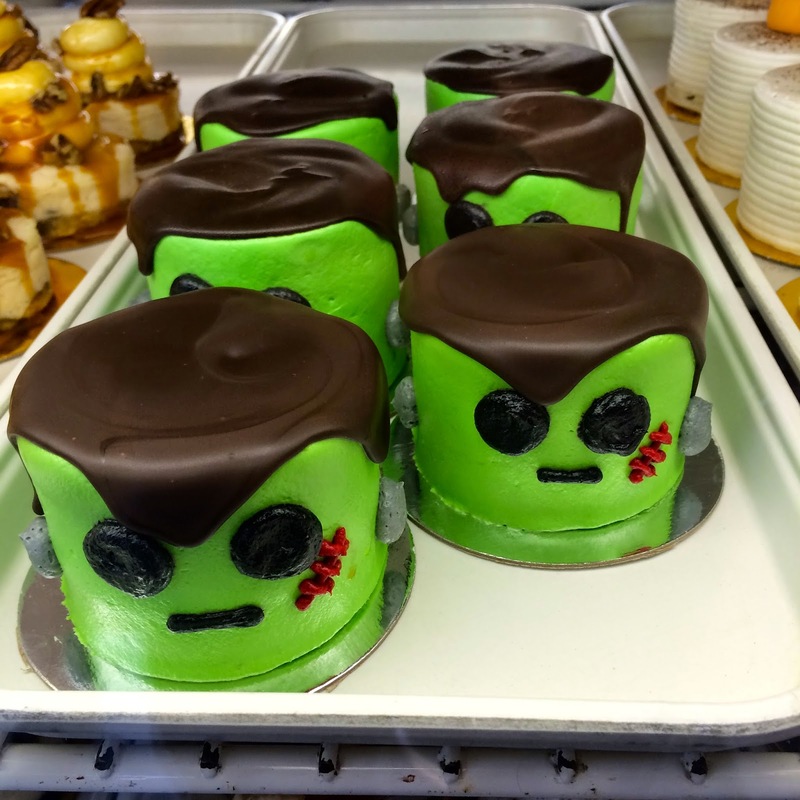 Some really amazing mini-cakes. Works of art! The one thing I had been craving is their ice cream. Today their flavor was Chocolate and Cake. Such an amazing combo! I've had their cannoli before from mail order and OMG, life changing! Delicious donuts too. The amount of joy Vegan Treats brings to people is unreal. The fact that so many different kinds of dessert can be made Vegan is reassuring. I'm happy to finally say I've stepped through those doors. Make sure you make a point to visit soon! 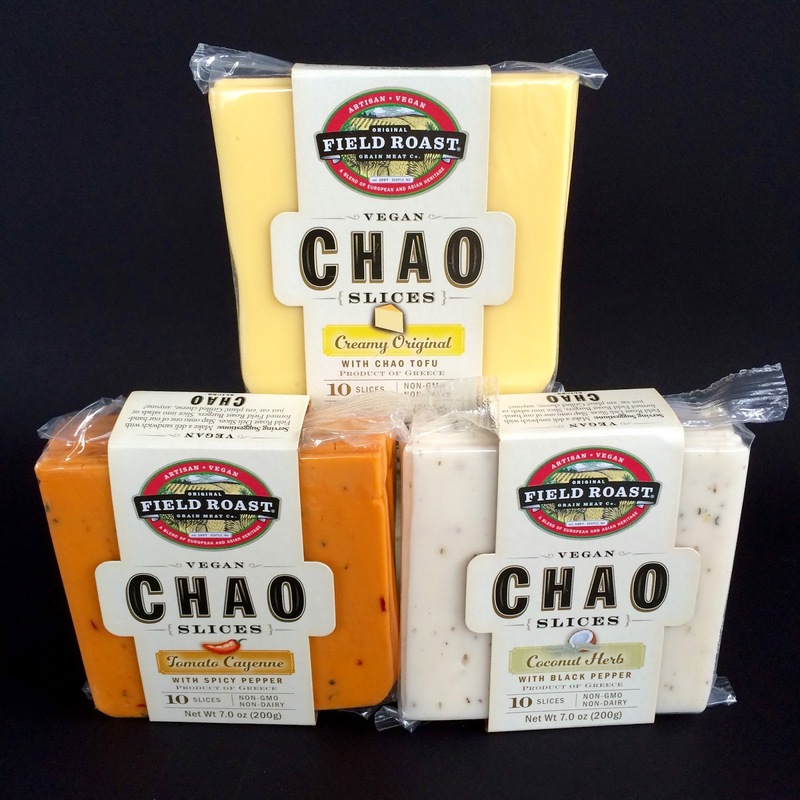 Chao is the new Vegan cheese from Field Roast. It was announced out of the blue a couple months ago and I have been anxiously awaiting its arrival. One of the cool things about Chao is that they are pre-sliced and sandwich ready. The three flavors are Creamy Original, Tomato Cayenne and Coconut Herb. The cheese is called Chao because that is the name of the fermented tofu used in the making of the cheese. So now that I have all three flavors of Chao in my possession, it's time to chow! I really enjoyed all three cheeses, but I think Creamy Original was my favorite. It's the string cheese of the bunch. You can nibble on this stuff all day. 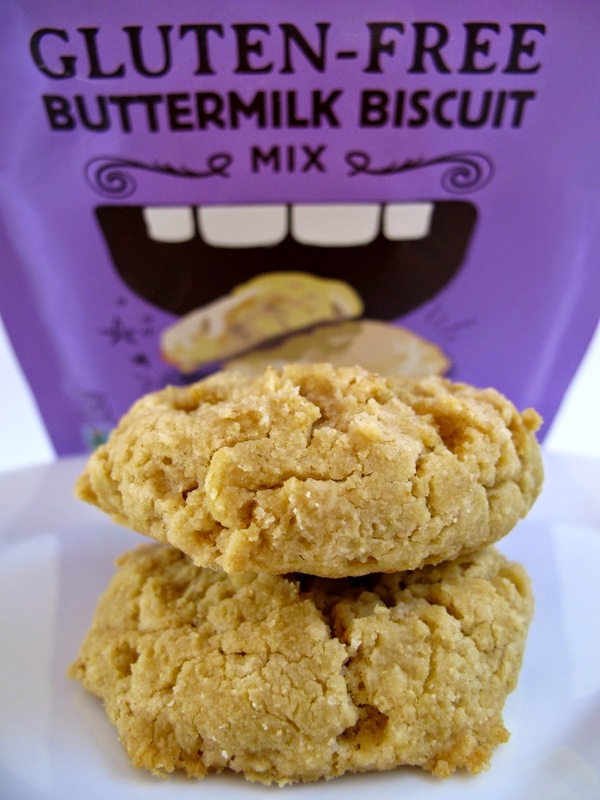 A nice mellow flavor that has a butteriness to it. You just eat it. And eat it. Tomato Cayenne is similar to a cheddar with some kick that would spice up any sandwich. Nice little bits of red and cayenne pepper inside the cheese. Of course my thoughts turn to dicing the cheese up and putting it on nachos, but that's just me. It melts, just like the other two cheeses but be careful not to overdo it. Melting takes only a couple seconds. Coconut Herb is an interesting mix -- coconut flavor infused with herbs and black pepper. I feel like yellow mustard would be a good accompaniment on a sandwich. Definitely the weirdo of the three, but in a good way. Field Roast is pretty ingenious in general and Chao Slices are no exception. Artisan Vegan food continues! Go seek it out and as always, let me know what you think. Howdy! I haven't had much time to blog, but that doesn't mean I don't have time for a giveaway. 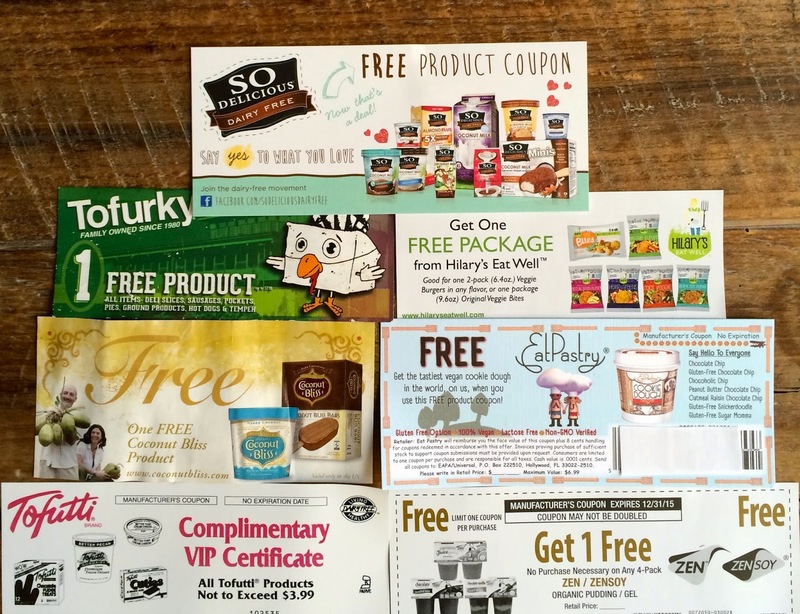 I have free product coupons from So Delicious, Tofurky, Hilary's Eat Well, Coconut Bliss, EatPastry, Tofutti and Zen Soy. To win one of the coupons, just tell me which coupon you would like and what product you would get with it down in the user comments. Please leave an email account so I can reach you! I have multiples of everything so there will be about 15 winners. Giveaway ends Tuesday, November 4th at 10pm Central time. Good Luck! Along with the Coco Whip, So Delicious sent these awesome Halloween treats! 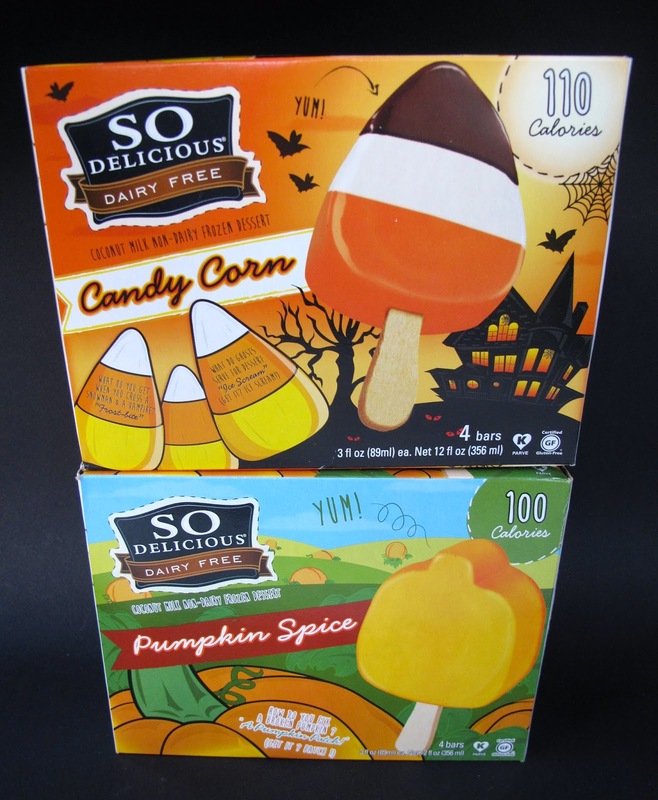 Candy Corn & Pumpkin Spice Coconut Milk Frozen Desserts. 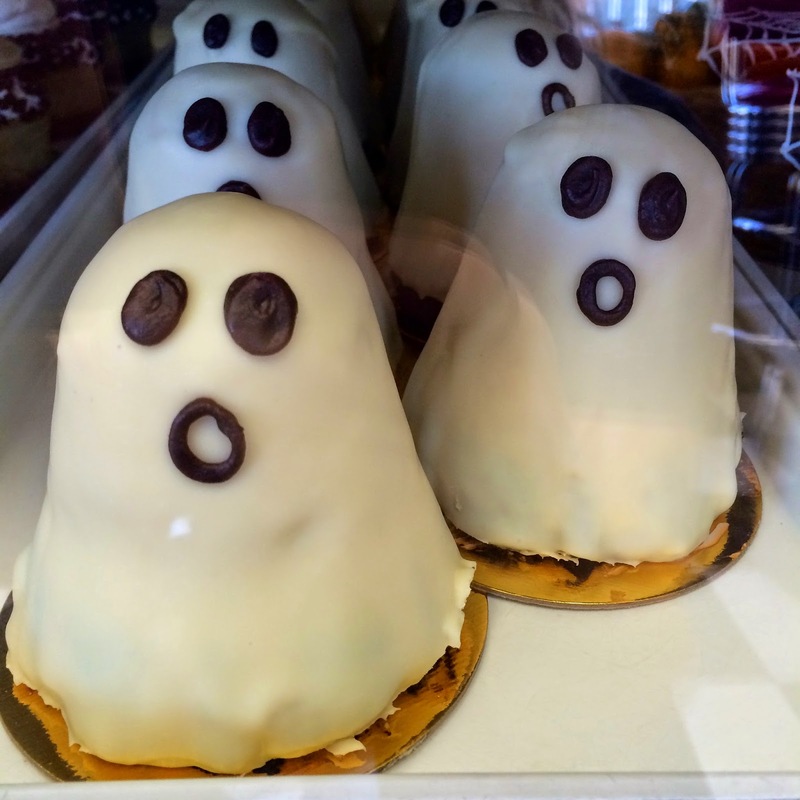 Halloween-specific treats are always going to catch my attention. These just scream fun and I couldn't wait to try them out. I found them at my local Whole Foods the other day, so be on the lookout in your area! 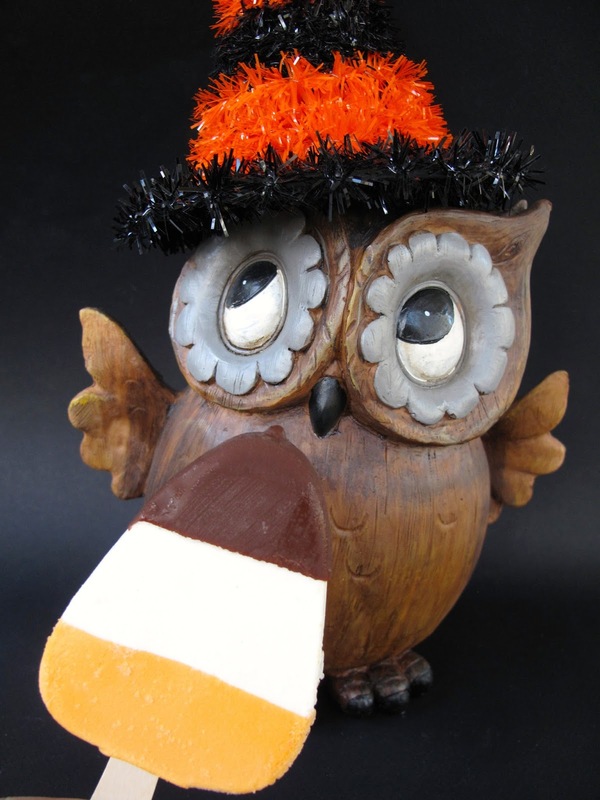 The Candy Corn pop was the most elaborate and my favorite of the two. 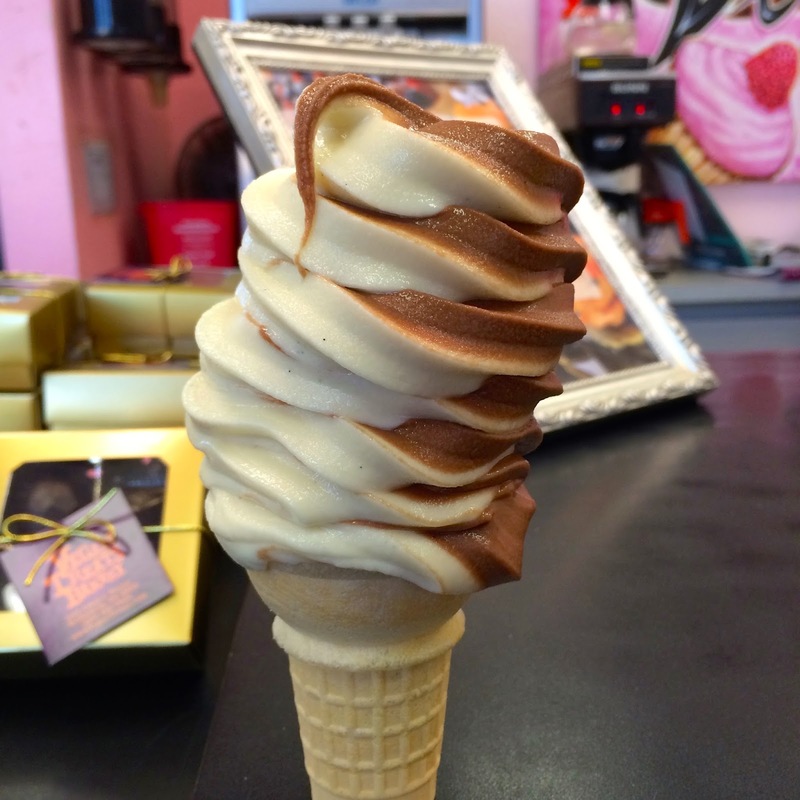 The tip is dipped in chocolate followed by vanilla then orange flavored ice cream. It was dreamy! This honestly should be sold year-round, but maybe I'll appreciate it more (like the nog) if they take it away after Halloween. A Vegan work of art. The Pumpkin Spice pop was excellent as well, but very simple. The flavor is definitely pumpkin (shockingly) but it's a pumped up pumpkin. Sure, a little chocolate dip would have been nice, but pumpkin lovers will go gaga. The cute shape is appreciated. Thank you again to So Delicious for sending me all of these seasonal goodies (including the nog, which is in non-refrigerated packaging this year.) 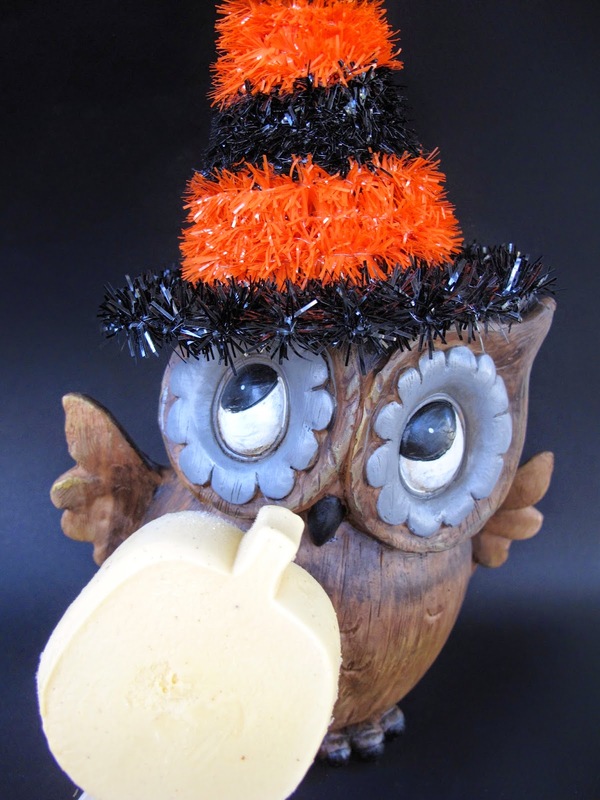 The key to Veganism is to make it fun and inviting and I can't think of a better way that Halloween treats. Keep up the good work, I can't wait to see what you come up with next! I've been anticipating Vegan whipped cream in a tub for as long as I've been Vegan. I grew up in a household where Cool Whip was always around. Half the time there was no actual dessert to put the Cool Whip on, so you would just sneak a scoop or two. Thankfully, Vegan dessert powerhouse So Delicious has created their own version of the modern classic. It's called Coco Whip! I realize there have been other Vegan whipped creams on the market, but the fact that Coco Whip comes in a tub is a sentimental plus. It also doesn't hurt that the packaging is super cute and reusable. So Delicious has been kind enough to send some samples for me to review! As you can see from the picture, it's fluffy and decadent, just as whipped cream should be. There's a normal Coco Whip and a Light Coco Whip. The Light has 50% less fat and is just as amazing. It's less dense then the regular, which can be a plus depending on what you are putting it on. But do they taste good? Heck yes it does! Sweet and coconutty goodness. The only caveat is since Coco Whip is made from coconuts, I guess you have to like coconuts. I know there's some coconut fatigue out there, so if coconut isn't your thing, I guess you'll have to stick with Soyatoo for now. Hopefully So Delicious considers an alternative main ingredient in the future. And all you carrageenan haters will be happy to know both Coco Whips are carrageenan-free. So the hardest part of this blog post was what I would test the Coco Whip on. I thought about hot cocoa, but that didn't seem very photogenic. As some of you know, Isa Chandra Moskowitz just opened up a Vegan restaurant here in Omaha, Nebraska called Modern Love and they have amazing pie and cheesecakes. So I thought, "Why not test the Coco Whip on one of the Modern Love desserts?" Enter the Modern Love Blueberry Cheesecake! Normally it comes with homemade whipped cream, but for this one and only time, it has been Coco Whipped. It tasted amazing! I used the regular Coco Whip and the texture was spot on. The perfect enhancer to any dessert. I also tested the Coco Whip by the spoonful, which I can also recommend. Unless you have an aversion to coconuts, this is the whip you've been waiting for! New from Hilary's Eat Well is their line of Vegan Salad Dressings. I've been eating more salads lately, so I'm excited to try something new. The tasty line-up includes Ranch Chia, Apple Fennel, Balsamic Thyme and Creamy Remoulade. The Ranch and Remoulade are even suggested as dips, so get your veggies ready! Hilary's Eat Well was nice enough to send me all four flavors, but you can also find them at Whole Foods or Vegan Essentials. Out of the four, I have to say Ranch Chia is my favorite. It's probably because I have always loved ranch. While it's not the most traditional Vegan ranch I've ever tasted, it definitely has some great zing. I could see it being a pretty good dip. Apple Fennel was my second favorite. Very comparable to a vinaigrette, I really enjoyed the sweetness of the apple. My next favorite, Balsamic Thyme, activated my love of balsamic vinegar. Tangy and good. Last but not least, the Creamy Remoulade. It was definitely creamy, but the lemon flavor didn't do too much for me. 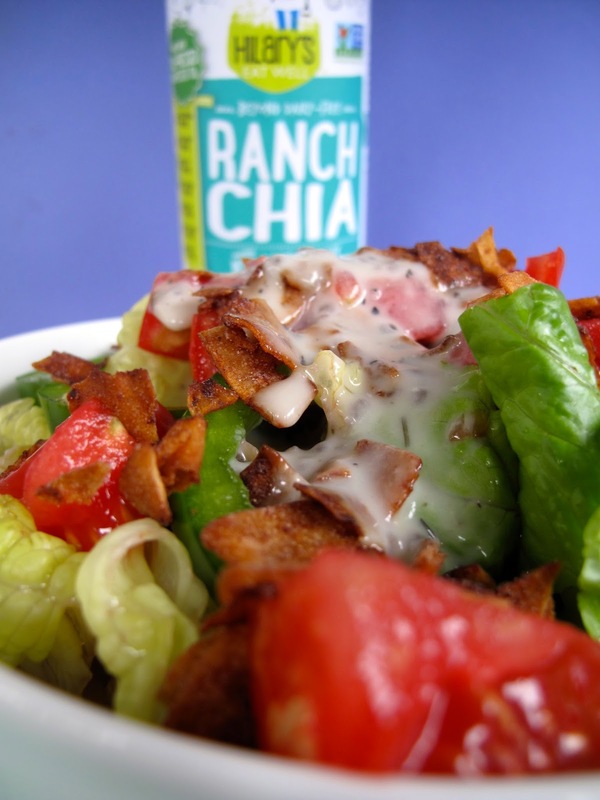 All in all, it's nice to have four new Vegan dressing out there in the marketplace. If you eat a lot of salad, give Hilary's Eat Well Dressings a shot!